THERE were more job vacancies in Singapore last September compared to a year ago, with places in the services sector accounting for the majority of the available positions. New data from the Manpower Ministry (MOM) released on Tuesday showed that there were 67,400 vacancies in September 2014, an increase of 8.9 per cent from the 61,900 recorded in the previous year. Not unexpectedly, about 80 per cent of the vacancies - or 49,860 job openings - were in the services industry, said the MOM's Manpower Research and Statistics Department in its latest annual report that analyses the country's job vacancy situation. The report defined job vacancies as openings for which employers are actively recruiting employees from outside their establishments. These can be new positions created due to business expansions or existing positions that have become vacant arising from staff turnover. The bulk of the vacancies came from community, social and personal services, reflecting the expansion of childcare and pre-schools, healthcare and tertiary institutes. The opening of several new shopping malls supported robust hiring in wholesale and retail trade, accommodation and food services, as well as administrative and support services. Manufacturing contributed another 13 per cent of the vacancies, while the remaining 5.7 per cent came from construction. In terms of professions, the largest shortfall was for service and sales workers - such as shop sales assistants, security guards and waiters - which accounted for a quarter of the total vacancies, or 15,330. Associate professionals and technicians were also in strong demand, with some 12,000 openings that require filling. Some human resource experts said that it was not surprising to see that Singapore's services sector have the most job openings. "This sector has gone through significant change the past year, with the development in healthcare and education facilities. We are also attributing this to a growth in events and entertainment," said Femke Hellemons, country manager of HR solutions firm Adecco Singapore. "For many organisations, 2014 has been important as they have fought to hire the best talent in the market. What will be key going forward is how these organisations retain that key talent and 2015 will be no different. Singapore's dynamic and competitive landscape will continue to see strong talent mobility in and around the region," she said. As the labour market continued to remain tight, the MOM report said that the proportion of vacancies that were left open for at least six months did not change much over the year, staying at 41 per cent of the total in September last year. 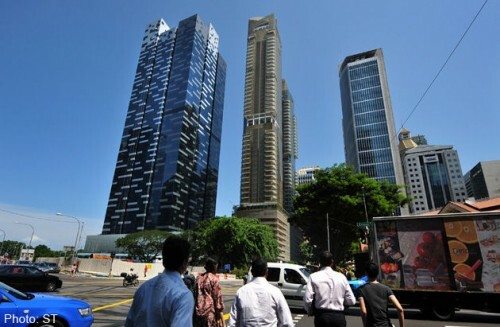 Companies, meanwhile, continue to struggle with finding locals - Singaporeans and permanent residents - to fill jobs, with the majority of jobseekers citing "unattractive pay" as the top reason they stayed away. The vacancies deemed "hard to fill by locals" continued to hover around the 67 per cent mark, the MOM said. Among the other factors that employers cited for their difficulty in hiring locals were a preference for a shorter work week, a dislike for the physically strenuous nature of the job, and having to work shifts. Among the PMET (professionals, managers, executives & technicians) group, teaching professionals, management executives and sales and marketing managers were the most sought-after people. There were vacancies available for all educational levels, with more for both ends of the educational spectrum. Specifically, those requiring at least "primary or lower" and university degree qualifications were the most in demand. The data on job vacancies for the broad occupational groups are collected by the quarterly labour market surveys conducted by the ministry on private establishments - each with at least 25 employees - and the public sector. The full job vacancies report can be found at stats.mom.gov.sg.